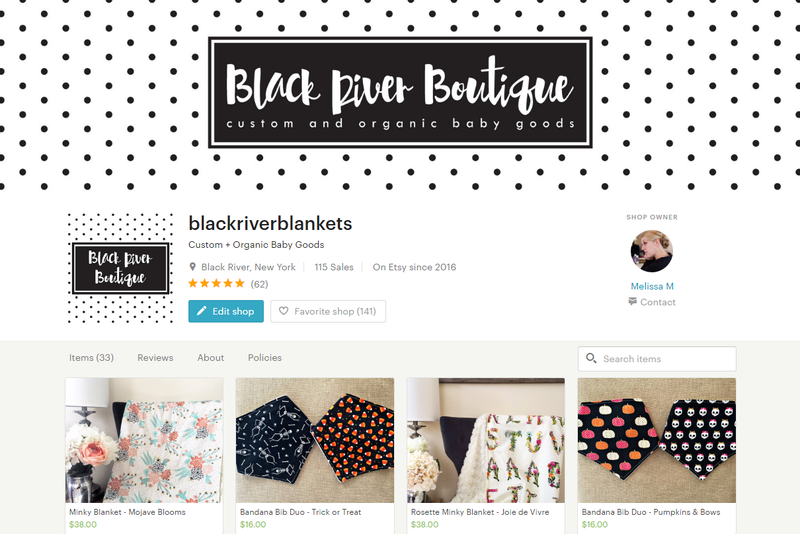 You probably all know I started my very own Etsy shop back in February called Black River Boutique, and when I did, I had absolutely no clue what I was doing! Etsy has always been one of my favorite places to shop the goods of artisans around the world – often for a fraction of what a brick and mortar store might charge! Placing my own goods among so many great things was extremely daunting though, and I thought I’d type up a little tutorial of my own to show what I’ve learned thus far about getting started from the ground up. 1. Identify your product. 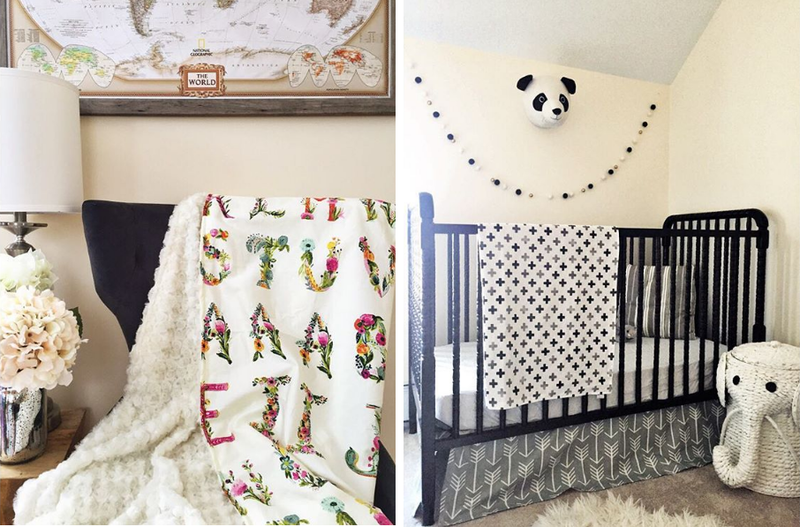 When Spencer was a newborn, I bought an insanely beautiful (and overpriced) handmade blanket from Etsy. It’s stunning, and to this day, it’s a favorite of mine. However, when I unwrapped it, I realized I could have made it myself with minky and cotton. And thus, the idea for Black River Boutique was born. I wanted to make handmade and organic baby goods for those who wanted a more affordable version of chic goods like blankets, bibs, teethers and more. 2. Identify your market & customers. For me, this was the hardest part. It’s easy to get caught up in the idea of selling your goods, but the first thing you want to do is find your target market. I recommend searching similar products on Etsy, researching the price point and finding where you want to fit. I chose two things…one – I wanted to provide an organic alternative for mamas and two – I wanted to make it wallet-friendly. 3. Make! Before you even start your shop, make multiple products, and take pictures of them. One of the biggest mistakes you can make is starting your shop with just two items. It makes you look new, and while new isn’t always bad, it doesn’t inspire confidence in your buyers. I recommend listing 10-15 products (or more!) at launch. 4. Take good photographs. As a marketer by trade, if there’s one thing I actually know, it’s that people buy with their eyes first. A bad photo might not mean it’s a bad product, but it doesn’t show your goods (or your business) in a great light. Find a way to take a good picture of your product. Play with angles, props and lighting, and keep working at it! Change is good, so don’t be afraid to mix it up. 5. Create a shop instagram. This has been the singular most effective and fun tool that I’ve used for Black River Boutique. There is an entire community of makers on the app, and likewise, there’s a community of buyer’s just looking for the perfect product! Use the above step (great photos) to market your goods. Another instagram tip? Utilize hashtags! They’re actually search tools for your shop. Research what similar shops use, don’t be afraid to tag handmade feature pages like this, and continue honing in on what does and doesn’t work. 6. Be wise about giveaways. You might see a lot of makers offering up giveaways to drum up new followers on instagram, and it’s tempting, folks. Giveaways are a newbie marketer’s dream (and nightmare) though. Research has shown that giveaways usually don’t “buy” you the best followers. Rather, these are the followers that follow solely for the entry then jump ship when they don’t win. The last thing you want is to suddenly have 300 more followers who drop you like a bad habit when they don’t win your prize. 7. Start your Etsy page. Find the perfect shop name and create it here! For me, this was tricky, as someone already had the Black River Boutique name on Etsy. I settled for second best, and I’ve overcome that hurdle now, but get as close to your name as humanly possible. Ask other makers you might now about free listings, too. A lot of us earn free listings over time and can donate them to new makers. A listing is usually 20 cents per listing, and they last about 4 months before they expire and have to be renewed. 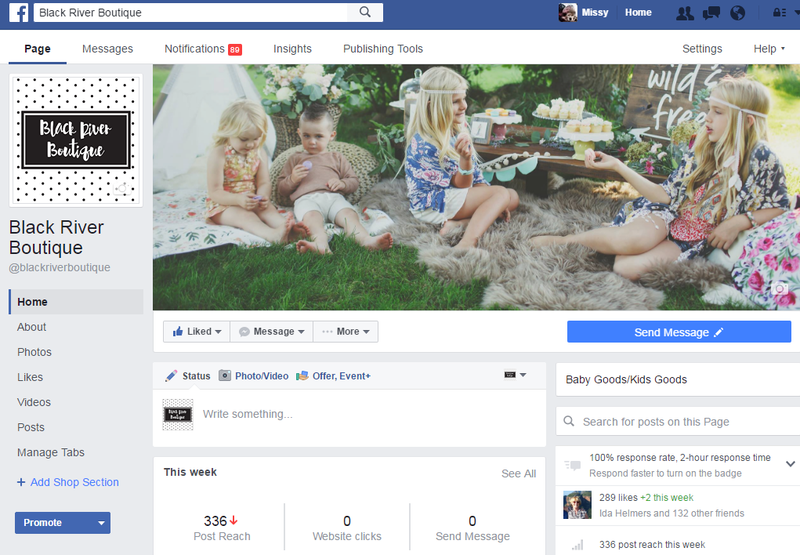 When you start your page, you’ll also want to have a design for your shop. Lots of other shops offer up pre-made designs – like Jupiter Street Designs and Simply Creative Design Studio. Plus, their designs make it possible for you to create a great look for a small amount of money. 8. Create the perfect listing. Remember those great photographs you took for instagram? Now’s the time to use them! You’ll want about 3 shots per product if possible, showing close-ups, different angles and more. This gives buyer’s a better feel of your product, and it makes it look like you’ve done your due diligence when listing your product, too. You put a lot of care into your product, so make it sing! Again, research similar shops’ tags when making your listing, too. For example, “alexaorganics” has been a top one for me, since I source their organic teething rings to use for my teethers. Figure out what people are looking for and target that. 10. Continue to learn and grow! Your shop isn’t a one and done deal. You’ll want to keep putting up new products consistently and marketing to your audience, or they’ll likely lose interest. For my product, for example, people are always looking for new prints! If I show the same 10 fabrics for the next 10 months, people will stop looking. Market to the season, figure out sales tactics, create thank you codes for repeat buyers and learn as you go and grow! I’m still learning. Over time, I’ve found that there’s a price point my customers are looking for, that custom orders are one of my biggest sellers and that people love a good seasonal print. Make notes and grow from those. I’m no expert at this, my friends, but it’s been a fun ride so far. Etsy is such a great marketing platform, and anyone can do it – it just takes time and effort. If you have any questions about opening your own shop, please don’t hesitate to ask. I’m all ears!